Take a few minutes to learn more about each of these updates and review the Advanced Module R33 release notes and the Standard and Essentials Modules R33 release notes for additional information on fixed issues. A new Guestroom Pace Verification report is available and displays a list of each booking that was included in the Guestroom Pace report. If you see an anomaly when viewing the Guestroom Pace report, run the Verification report to identify potential data entry issues that could be affecting the report totals. For properties on the Advanced Module, starting April 2, 2019, this report will automatically display for all users on R31 or higher—you don’t have to wait for an update to R33. This new report will also be automatically available in the Standard and Essentials Modules. Also new to the Standard and Essentials Modules are the Productivity Report, which provides a total of definite activity for each booking owner, and the Productivity Verification Report, which lists each booking that had definite activity in the productivity report. We’ve added a new guestroom table that displays daily totals by room type, property, and booking. 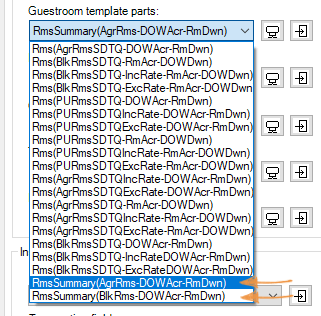 When editing an Advanced Booking merge template, you’ll find the new tables in the merge tool’s Guestroom Template Parts list. Look for “Summary” in the file name, and select the one with “AgrRms” if you want to use the Agreed room count, or “BlkRms” if you want Blocked. These tables display the exclusive guestroom rate, not the inclusive rate. If you have not customized any of your template parts, no feature enablement is required—the new tables are added as part of your update to R33. If you have customized template parts, a Corporate Administrator needs to add the custom tables to the new template part zip file immediately following your update. It’s common to have multiple accounts or contacts with similar names. But, this makes it tricky to know which one to link to a booking or activity. To help remedy the situation we’ve added a bit more information to the search results. Under the account name, you’ll now see the account’s address. 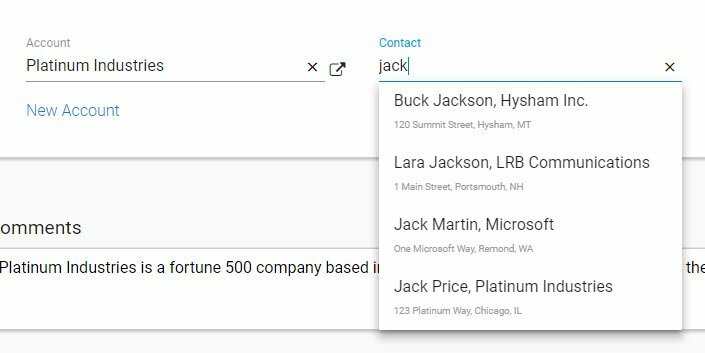 And when linking to a contact, you’ll now see the associated account and address. We’ve added more Quick Launch buttons to make it easier for you to access the information you need when you need it. For example, after you’ve selected the account and contact on a booking, you can open them using the new Quick Launch button next to each field. Upgrade to the latest release of Amadeus Sales & Event Management today by having your corporate administrator contact Support. Learn more about all of the new features and fixes in the latest release, Advanced Module R33 release notes and the Standard and Essentials Modules R33 release notes. Signed Faster. Paid Faster. Feel safer.